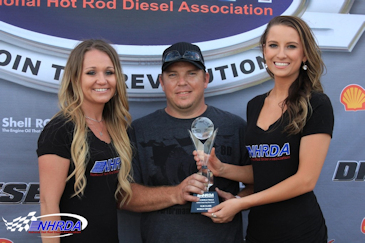 Not only was the coveted NHRDA World Championship up for grabs at the World Finals but also the first ever NHRDA 10.90 Index National Championship. Perales knew he needed a victory and needed Ray Ross to lose first round to even have a chance at the National Championship. The cards started to fall his way as Ross was defeated in the first round of eliminations and Perales now had the fate of the championship in his hands. Perales continued to win round by round making it all the way to the final round where he faced off with William Terry of Cedar City, Utah. It was a double breakout victory for Perales, giving him the NHRDA 10.90 Index World Championship and earning him the NHRDA National Championship at the same time.